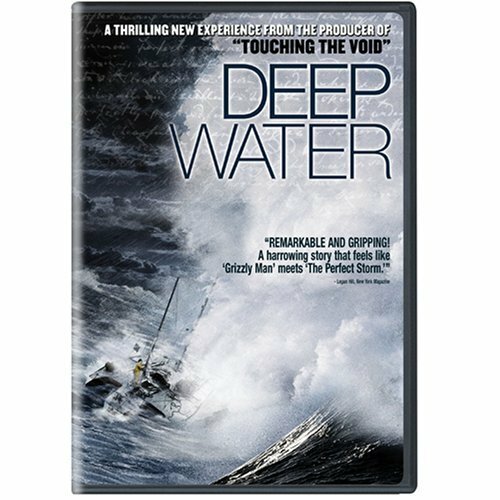 I saw Deep Water for the second time yesterday. Amazing movie – though also profoundly sad. It was interesting to see how powerful the effects of the long, solitary voyage were for everyone who participated. The solitude of the ocean was devastating for Donald Crowhurst – you have to wonder whether, if he had been able to speak to his wife, thing would have turned out differently. The same solitude though, seemed to be liberating for Bernard Moitessier. Now I want to read the book based on Moitessier’s journel, The Long Route. The documentary makers tried to make it seem like solitude was the enemy. That’s what people who haven’t experienced solitude always think. They think solitude will make people crazy. Crowhurst did seem to be getting benefits from solitude, it looked like he got going on some good mind trips with his thoughts on Enstien. That’s what solitude is like. That’s the good stuff. Where you can think your own new thoughts, and be your own individual self. The solitude wasn’t to blame, Crowhurst couldn’t face financial and social defeat. Solitude didn’t doom Crowhurst, society did.